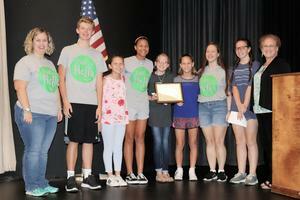 On Thursday, September 6th, Sandy Hook Promise visited Burnet Middle School to award the school the Community Reach and Sustainability award for Start with Hello. Carleen Wray, from Sandy Hook Promise presented the prestigious award. 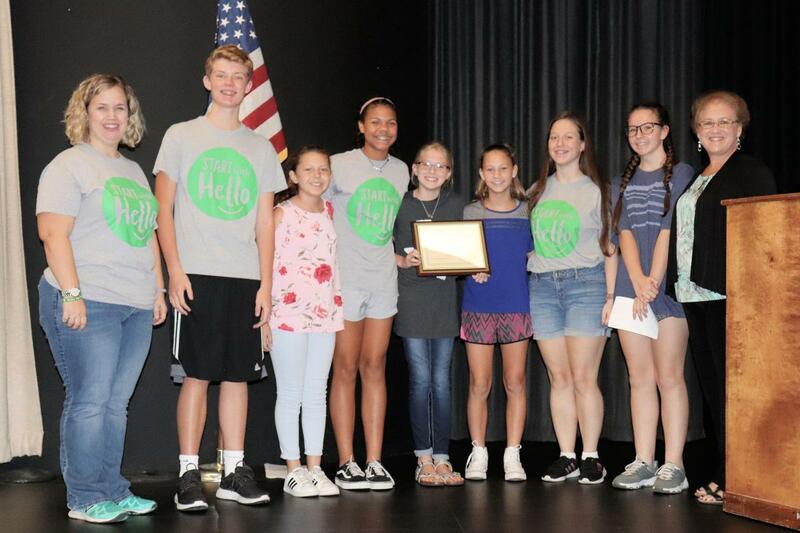 At the presentation, members of the Interact Club spoke about the impact of Start with Hello at BMS and introduced the program to the sixth graders. Start with Hello week for the 2018-2019 school year is September 24-28. The 2018-2019 Interact Club Officers are pictured with Interact Advisor Sara Te and Carleen Wray from Sandy Hook Promise.